The nation’s slow economic recovery from a deep recession is showing up in the offering plates of Protestant churches in the U.S., according to a recent survey by LifeWay Research. When natural disasters occur, most Americans take increased interest in God and donate to relief agencies – and they trust faith-based agencies more than their secular counterparts. A third also believe prayer can avert natural disasters. 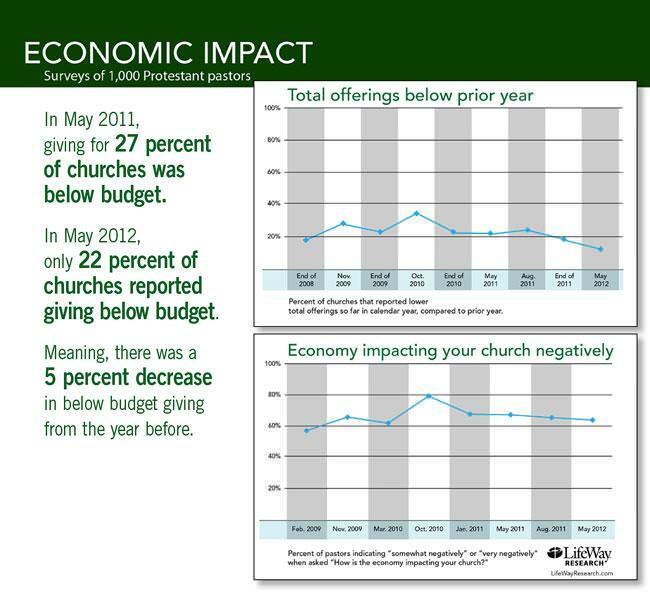 The lethargic economy has continued to negatively impact the financial situation of many congregations in the United States. However, some congregations are finding that the gloomy forecast hasn’t necessarily translated into slashed budgets and financial damage control.